I wished she carried a clutch and not a shoulder bag. I didn't really get the chance to watch this year's Grammy Awards. I did have a chance. I was watching a NBA game (Thunder vs. Sixers; always rooting for my boo thang Melo) and seeing that it was getting close to 8pm, I switched the channel to CBS. 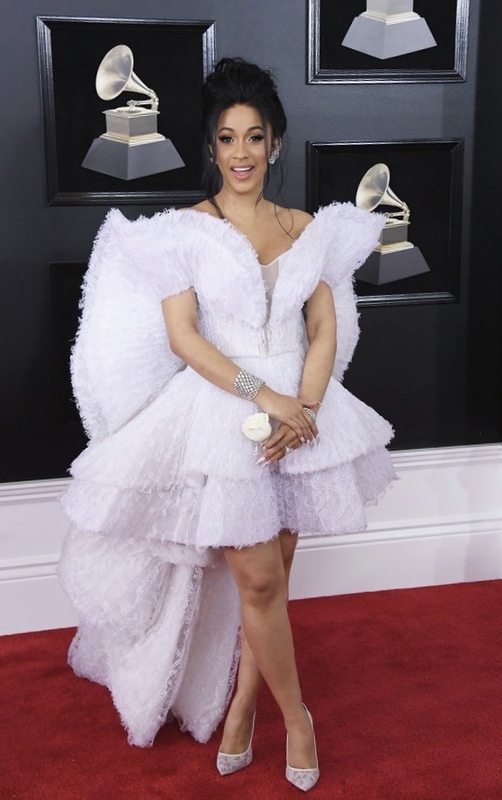 Well, I failed to realized that this year's Grammys started at 7:30pm with every intention to still end the telecast at 11pm. So we have here 3.5 hours of an awards show. And when I found out - thanks to the Internet, of course - that Kendrick opened with half of U2 and a quick sentence from Dave Chappelle, well, I was all the way annoyed. Another reason could be the time of the month but I can't give Mother Nature all of the credit here. So for the hour I decided to watch, the only performance that stood out to me was from Childish Gambino. (I did watch Kendrick's performance online and it was really good.) Maybe this week, I'll finish watching the show. Congratulations to my boo thang Bruno Mars for rackin' up dem awards including Album of the Year for 24K Magic. I'm extremely happy. I also would've been happy if Kendrick or Childish Gambino or Lorde, or Jay-Z had won. It was a tough category. 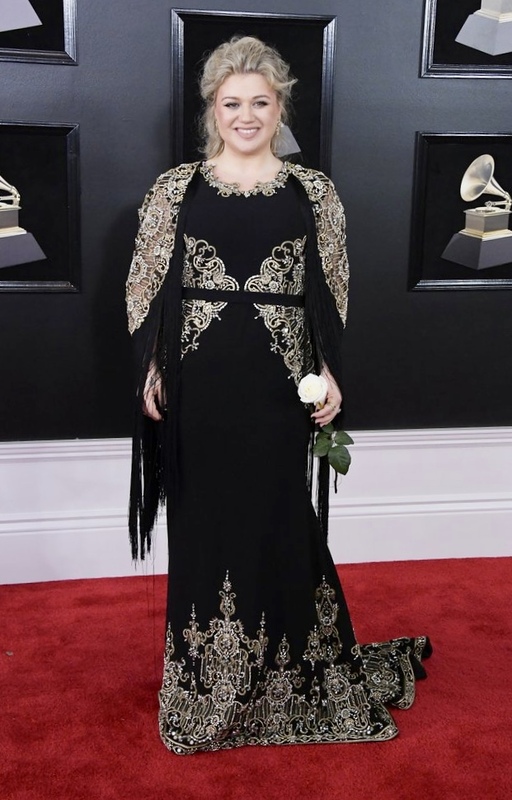 Honestly, she dressed like someone who knew she was going to win. Unfortunately, she didn't win one award. Not even Best New Artist. Which was a long shot, honestly, due to her not being a crossover yet. She's definitely sticking to her throwback/vintage/retro shtick. The bodice lining should've been black and not that drab milk color. 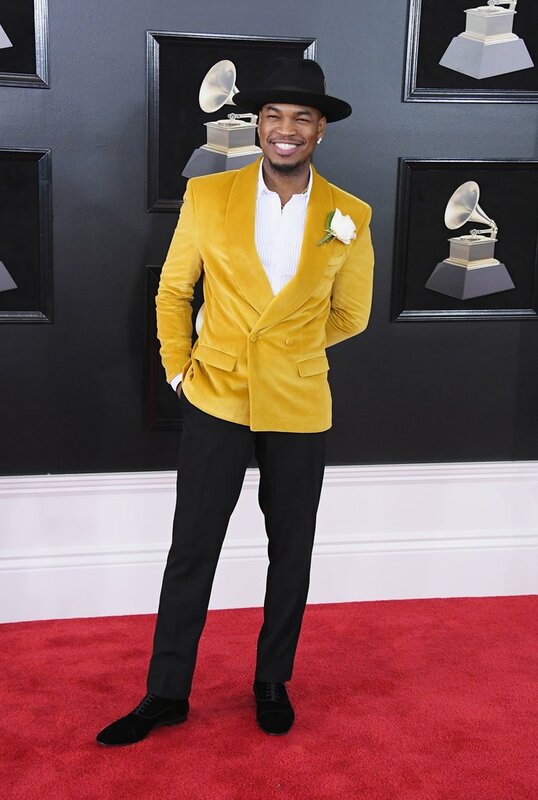 Neyo in a beyond gorgeous mustard yellow velvet blazer. Not feeling the platinum blonde ombre hair. Kinda diggin' the suit. 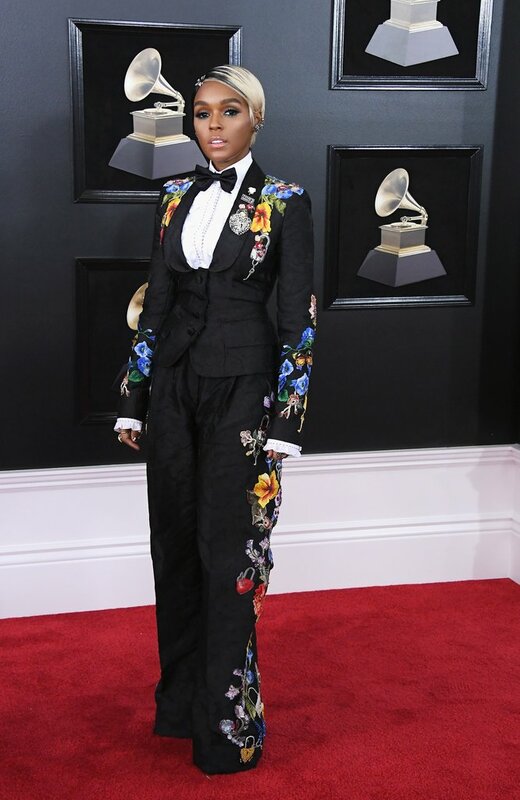 Even if the floral embroidery is a bit much. Clearly, she can be tamed. She looks good. Chic, even. Who knew Balmain can be understated? The pink heels are a no-no. The dress is worn backwards. Can't stand visible illusion netting. Those boots are quite nice, tho. I refuse to believe Christian had any input in the design.